Layers of Alpine Lace Cheese, organic eggs, fresh spinach and all natural bacon will give you something to get excited about in the morning! 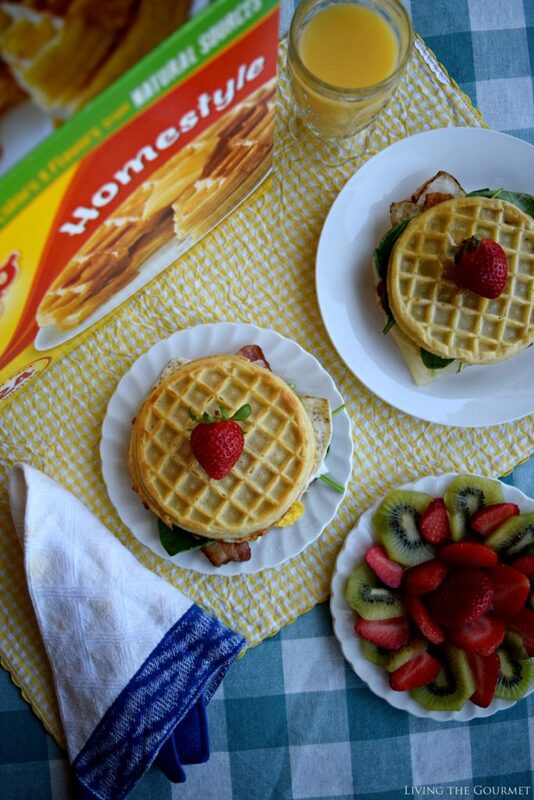 Press between two warm waffles on the panini press and you have yourself a delicious and easy breakfast or lunch! We’re all familiar with the cliché that first impressions are everything. We’re all familiar with this, largely, because it’s true. I’ve said many times here that ‘presentation’ is one of the foremost ingredients in any successful meal, basically that we ‘eat first with our eyes and nose.’ This basic principle carries throughout much of the rest of our lives, whether we’re talking about meeting someone for the first time, interviewing for job, or preparing a table for a dinner party. To this point, I remember one of my favorite DJ’s growing up would open his show in the morning saying “Unwrap each day like it’s a precious gift,” and that stuck with me. 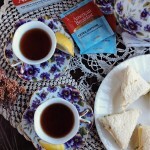 Starting your day off right, of course, can mean any number of things. 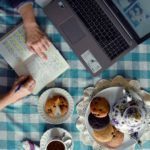 For some, it’s starting off with a workout, or a certain breakfast ritual, or a few moments of quiet meditation, or simply tuning into your favorite morning show. Usually, that ‘First Impression of the Day’ sets the tone for the rest of your 24-hour experience. For that reason, I like to be sure that my day starts off right – and that it does so regardless of my schedule. One of my favorite memories growing up is the big Saturday morning breakfast I would look forward to. These would typically include some combination of cartoons, waffles, bacon, maple syrup, fried eggs, and a late morning. Growing up, there was simply no better way to start a morning, and no better way to end a long week. 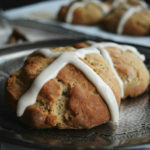 Today’s recipe, not surprisingly, is a throwback to those younger years. Schedule friendly and delicious, today’s Waffle Sandwich is a sure way to start your day off right – or as a light lunch. It was with precisely this recipe in mind that I picked up a pair of Kellogg’s® Eggo® Buttermilk 24ct at Walmart a few days back, with the intention of preparing myself a ‘fun’ breakfasts that hearkened back to those aforementioned Saturday mornings. 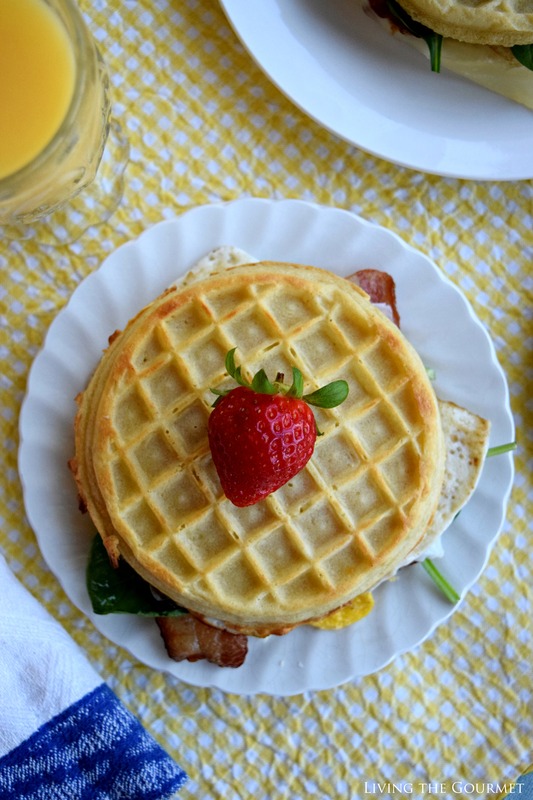 For this particular recipe I chose Eggo® because they use colors and flavors from natural sources, and they are just like the ones we used to make at home…except of course that they’re made on much larger waffle irons. 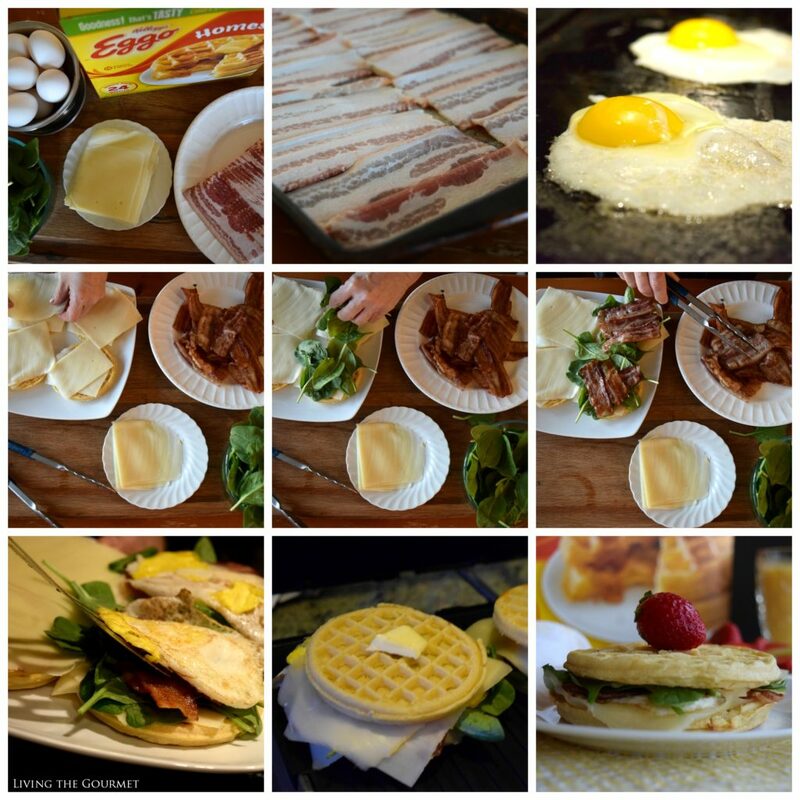 To start things off, we crisp some bacon, and then prepare the waffles in a toaster or toaster oven, and fry two eggs. Of course, however, you can prepare your eggs however you like, sliced boiled eggs work great as well. With those ingredients ready, I assembled the sandwich, which we prepare with Alpine Lace, a handful of fresh baby spinach, a few bacon slices, and finally the eggs. I then closed the sandwich, and pressed it in the panini maker for a minute or two to melt the cheese. If you don’t have a panini maker, you can simply press the sandwich on a heated griddle with a cast iron pan. Cook the bacon to a nice crispness and set aside for the sandwich. 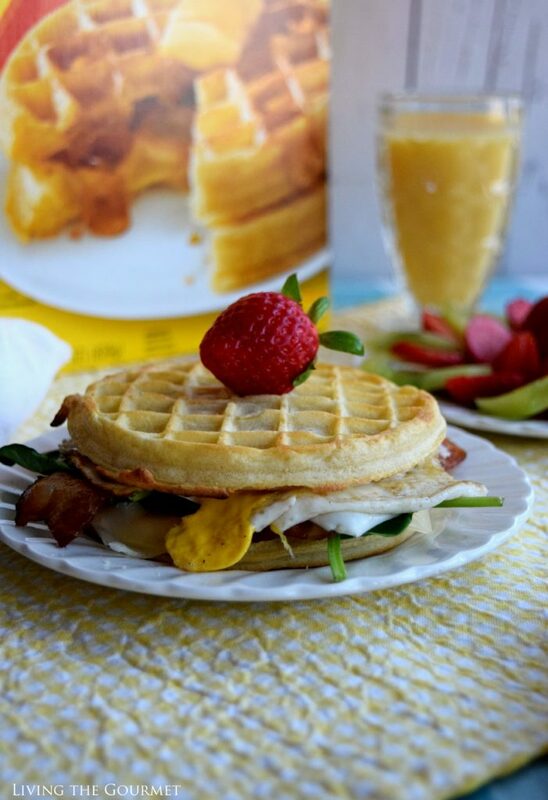 Prepare the Kellogg's® Eggo® Buttermilk Waffles in a toaster or toaster oven. Prepare the egg or eggs to your liking. Heat a griddle with a pat of butter. 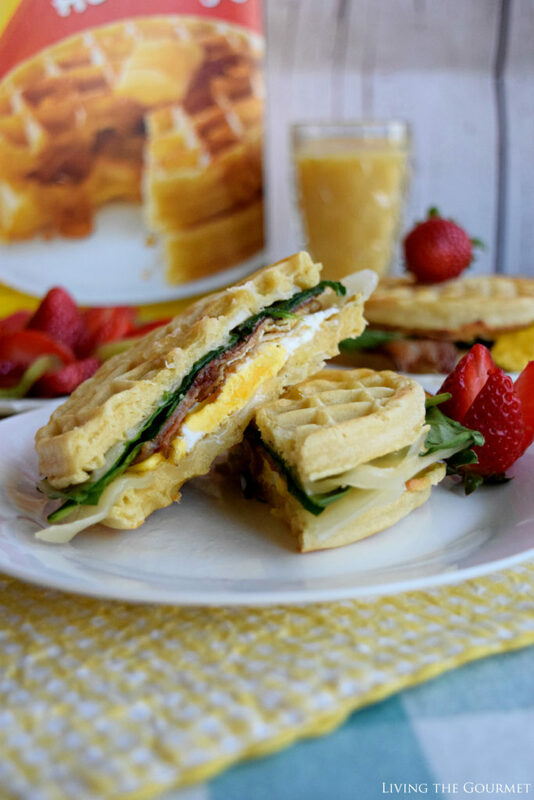 Place the Alpine Lace cheese on each waffle, top with a handful of fresh baby spinach, then the bacon slices and finally the egg or eggs and close with the second waffle. Press the sandwich in a panini maker. If you do not a panini maker place the waffle on a hot griddle and press down with a heavy pan to melt the cheese. This will take a minute or two. Flip the waffle over and repeat this process again. Once that’s done, you’re ready to start the day off right. 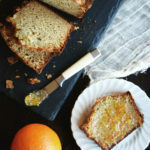 What are some of your favorite breakfast recipes? We would love to hear from you. 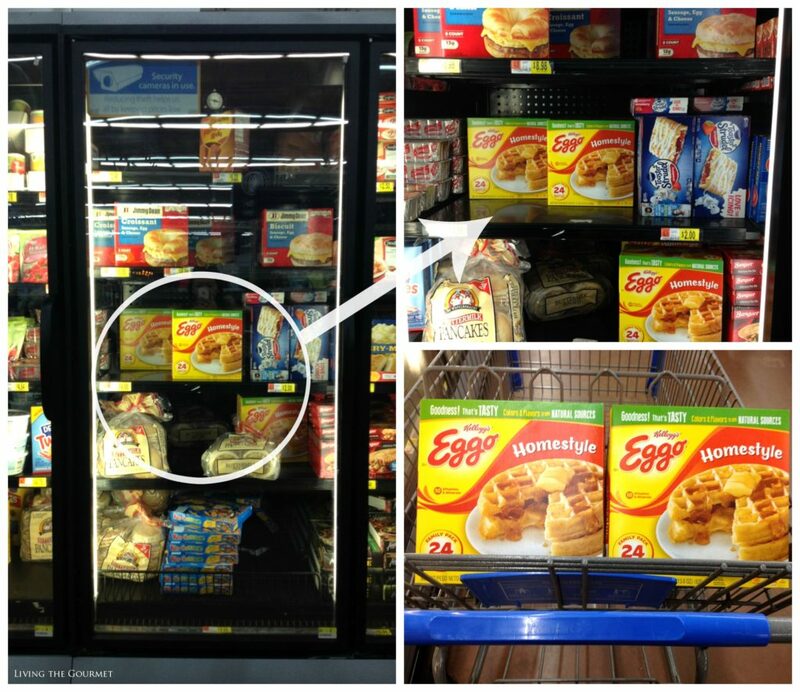 Earn $.50 when you purchase any ONE Eggo® Waffles variety, 10 ct. pack at Walmart here. And earn $2 when you purchase ONE Eggo® Breakfast Sandwich, Bacon or Sausage varieties only, 8 ct. box only at Walmart here. How interesting is that!! Looks delicious!!! We always have frozen waffles in our house! So crazy, I've never thought of doing this! How simple, but effective way to get a breakfast sandwich. These look so delicious! 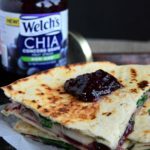 I can't believe I never thought of using waffles instead of bread in a breakfast panini! Genius! Look beautiful and delicious Catherine ! !